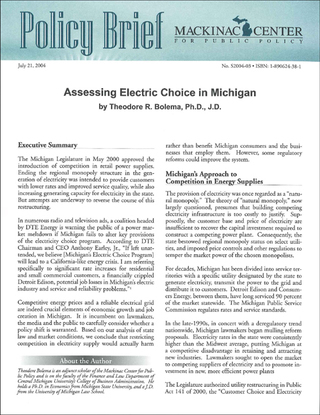 Theodore Bolema is an adjunct scholar of the Mackinac Center for Public Policy and is on the faculty of the Finance and Law Department of Central Michigan University’s College of Business Administration. He holds a Ph.D. in Economics from Michigan State University, and a J.D. from the University of Michigan Law School.